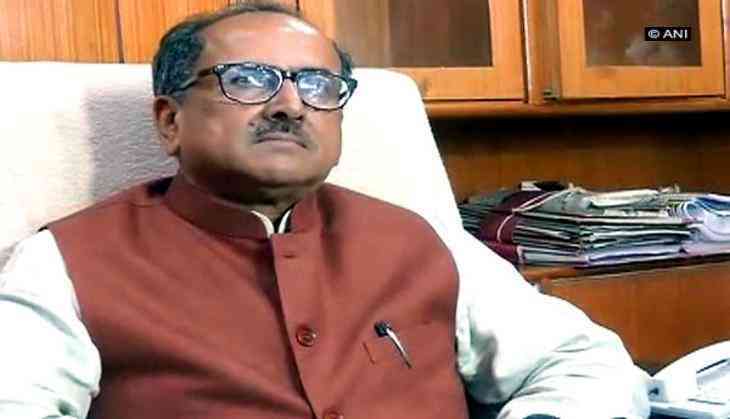 Jammu and Kashmir Deputy Chief Minister Nirmal Singh on 26 December said that India will continue to take "strong revenge in coming times" from Pakistan. Singh's statement has come after the Indian Army crossed over the Line of Control (LoC) to Pakistan-occupied Kashmir (PoK) and killed three Pakistani troops in retaliation to an earlier ceasefire violation. Speaking to ANI, Singh said Pakistan should be ready to face the consequences, if it dares to do such an act. "Befitting replies are being given to Pakistan. Whenever they dare to do such acts, they are forced to face its consequences. They took life of four of our soldiers and in response, we took our revenge and will continue taking strong revenge in coming times," he added. Earlier in the day, the Jammu and Kashmir Police on Tuesday said that elimination of most wanted Jaish-e-Mohammad (JeM) terrorist Noor Mohammad Tantray was a success for the security forces and a major setback for the terrorist group. "We had information that JeM cadres were planning an attack on security forces vehicles on the national highway. This information was developed further and it was during this course that we came to know that a most wanted JeM terrorist, who was the mastermind behind almost all the attacks carried out by the group, was hiding in Samboora. The encounter continued till early morning and one JeM cadre, identified as Noor Mohammad Tantray, was arrested. One AK-56, pistol and magazines were recovered from his possession," Inspector General of Police (IGP) Muneer Khan said. The encounter, reportedly, began in the Karnabal Samboora area of South Kashmir's Pulwama district between the militants and the security forces on the intervening night of Monday and Tuesday. Noor, who is a convict in a case, was lodged in a Delhi jail for some time in 2003. He was serving his sentence at the Central Jail in Srinagar until he jumped his parole in 2015. Consequently, he remained in Tral in South Kashmir and became a major overground worker of JeM. In July 2017, after the Aripal encounter, where three JeM terrorists were killed, Noor went underground and soon became the key man of JeM in coordinating and organising attacks at different places. Noor was also one of the chief architects of the Border Security Force (BSF) camp attack, near the Srinagar airport in October this year. Besides, he was wanted in a number of terror offences.